Dr.Lamberg using the digital smile design on our very own dental assistant Alina! We’re dedicated to making your visit as easy, efficient, and comfortable as possible. 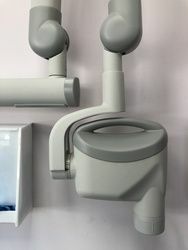 We strive to give you comfortable care. At Dental Health & Wellness of Long Island, our team strives to stay up-to-date with these advancements - whether its adding a new preventative care tool or attending many continuing education seminars. 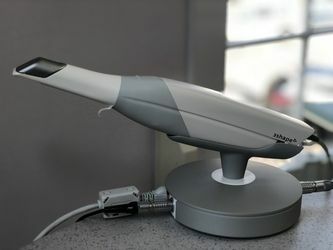 The field of dentistry is always advancing and evolving into the future, so its only natural that Dr. Lamberg and the rest of the Dental Health & Wellness of Long Island Team would offer the most modern treatment techniques and tools to create the best experience possible for the Long Island, NY community. 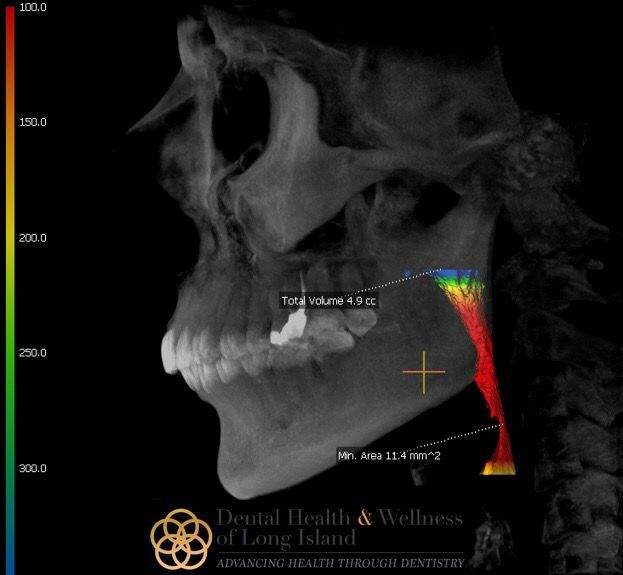 The CBCT (Cone Beam Computed Tomography) 3D Scan will help with planning the least invasive, most affordable treatment available, especially for all of our airway evaluations. By scanning the whole head and seeing more in depth and precise imaging, Dr. Lamberg can better determine what Sleep Apnea or Snoring Treatment is best for each patient. X-rays are almost always taken during your first comprehensive visit for one or several reasons. The goal of x-rays is to inform you and Dr. Lamberg of the condition of your mouth - not just your teeth but your gums, roots and jawbone. Being able to see and know your current oral condition, shape and positions of your teeth will be beneficial to help identify any possible infections, bone loss, tooth decay or tumors. Many common ailments are hidden below the gums and can't always be detected by the naked eye. 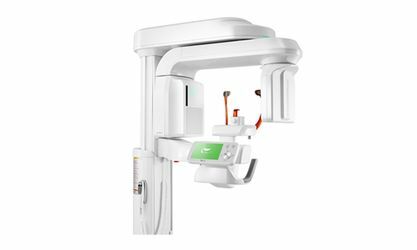 The TRIOS intraoral scanner can be used with all the treatments offered at our practice, from crowns and bridgework to dental implants. 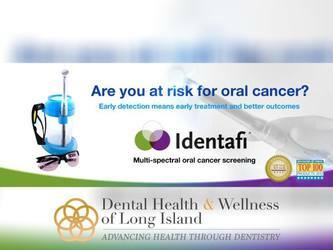 The Identafi® is one of our Oral Cancer screening tools and prevention is the best key to fighting any disease. The Identafi® uses white, violet and amber wavelengths of light to excite oral tissue in distinct and unique ways. Conventional examination of tissue is performed using a highly concentrated White light. As a result, biochemical changes can be monitored by using Identafi and both our hygienist and dentist can determine necessary next steps. At Dental Health & Wellness of Long Island, we are eager to introduce you to the most comfortable and satisfying dental experience available. To learn more about the role our modern technologies and tools play in this experience, please contact our Long Island practice today.